Video Game Firsts - Sega Dreamcast | Warped Factor - Words in the Key of Geek. Sega's Dreamcast was the first 128-bit machine released, ushering in the sixth generation of home video consoles. It had several features to show an advantage from the competition, including Internet gaming as an optional feature through its built-in modem, and a web browser. 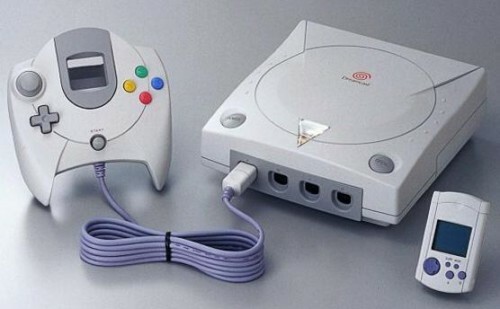 Although consoles had these features before, the Dreamcast brought them to millions of homes. It was also the first home console to always display full SD resolution. On November 27th 1998, the Dreamcast launched in Japan and the entire stock sold out by the end of the day,and by February 1999 almost 900,000 units had been sold. The Dreamcast arrived in North America on September 9th 1999, with eighteen titles available at launch. Sega set a new sales record by selling more than 225,132 Dreamcast units in 24 hours, earning the company $98.4 million in what was called "the biggest 24 hours in entertainment retail history". Within two weeks, U.S. Dreamcast sales exceeded 500,000, and on November 4th Sega announced it had sold over one million Dreamcast units. By Christmas, Sega held 31 percent of the North American video game marketshare. Sega released the Dreamcast in Europe on October 14th 1999. By Christmas Sega of Europe reported selling 500,000 units, placing it six months ahead of schedule. It seemed that the console was helping to restore Sega's reputation, which had been damaged by the earlier failures of the Sega Saturn, Sega 32X, and Mega-CD. Despite this, the Dreamcast was discontinued prematurely due to numerous factors. The impending and much-hyped PlayStation 2 slowed Dreamcast sales, mostly due to the fact that the PlayStation 2 had a built-in DVD player and a huge number of PS1 owners looking to upgrade to the new, backwards-compatible console. In addition, Sega's short-lived support/success of its post-Mega Drive products the Mega-CD, 32X and Saturn had left developers and customers skeptical, with some holding out to see whether the Dreamcast or PlayStation 2 would come out on top. Second year sales were poor, with Sega either unable or unwilling to spend the advertising money necessary to compete with Sony. 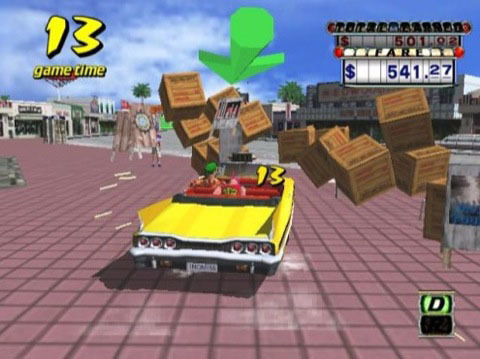 With the announcements of the Xbox and GameCube in late 2000, Sega's console was considered by some to be outdated less than two years after its release. Revenue from the console quickly began to shrink and Sega announced their intention of dropping the Dreamcast in early 2001, with production ceasing in March that year. Sega also announced it would shut down SegaNet, an online gaming community that supported online-capable Dreamcast titles. 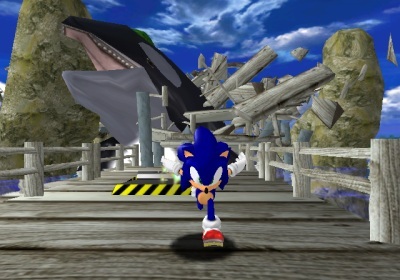 Due to user outcry over the decision, Sega delayed the service's closure by an additional 6 months. By early 2004 Sega left the console market entirely. So the Dreamcast holds the honour of being the first 128-bit home video gaming system, and also the last console released by legendary game company Sega.